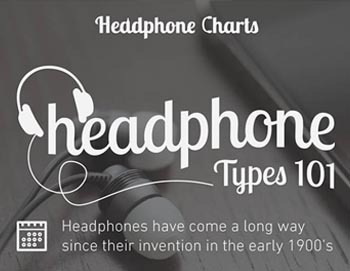 We pride ourselves on objectively ranking headphones. We also understand buying the right pair of headphones for you is a deeply personal decision. We hope this guide will provide you with enough information to make an educated choice when purchasing your next pair of headphones. Happy Listening! Think of headphones as little stereo speakers for your ears. 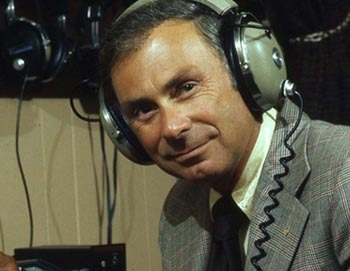 Traditionally, a “pair” of headphones consists of two speakers contained within two ear cups, one covering your left ear, and one covering your right ear, with some form of headband connecting the two cups, and simultaneously securing them to the listener’s head. 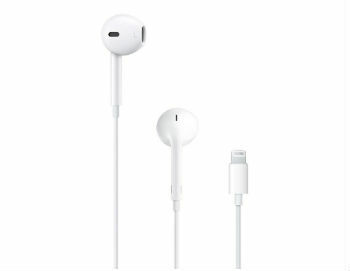 A cable will connect with either one or both of the ear cups, and at the other end of the cable a plug (often a 3.5mm headphone plug) will be attached. This plug will be plugged into your music source (whether it be directly into your smartphone headphone jack, your laptop, or even an expensive DAC/AMP) and the music being played from your source will travel through the cable, where the information will be processed by the speakers into audio waves which are audible to the human ear. Plugging your 3.5mm headphone plug into your phone has recently become more complicated for iPhone users, as the iPhone 7 no longer features a 3.5mm jack. Wireless headphones are 100% the future of headphones. On a recent trip to the gym it was mildly shocking to see 5-6 people around me all wearing wireless over-ear headphones. I just assumed more people would have worn wireless in-ear headphones. It makes sense with ever-improving sound quality and battery times. We dive deeper into wireless headphones in chapter 4. 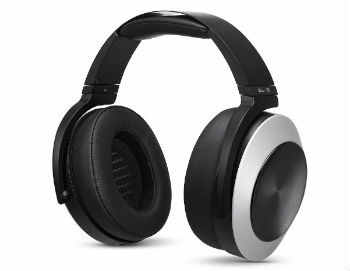 Headphone drivers are the component of headphones that actually produce audible sound. Drivers can be tuned to sound more bass-heavy, neutral, or treble-heavy, depending on the sound signature that the headphone manufacturer wants. Why You Can't Get Decent Earphones for Less Than $100 (hint: it's the driver). 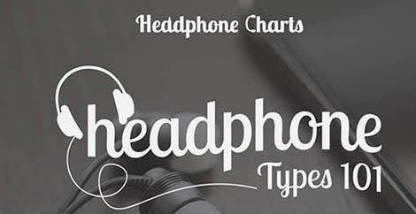 These different sound signatures are often desirable for specific genres of music: bass-heavy headphones are often chosen for genres such as rap/hip-hop and dubstep, while neutral and treble rich varieties can both be used for genres such as rock, pop, and classical. Often, the goal of headphone manufacturers is to find that perfect balance, where the bass, midrange, and treble all come together harmoniously, each frequency range sounding lively and fun, and not muddled or weak. 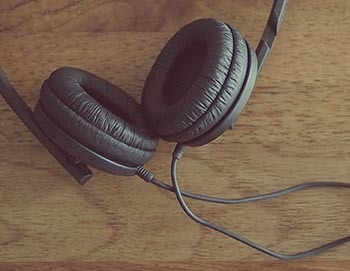 We receive lots of headphone-related questions on a daily basis. Presented below are some of the most common entry-level questions that we receive. If you ever have any headphone-related questions, don’t hesitate to ask in the comments and we will do our best to answer for you. What's the difference between in-ear, on-ear, and over-ear headphones? 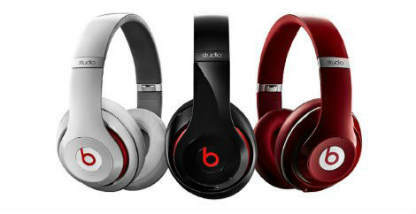 These three terms each refer to the design of a pair of headphones in relation to how they interact with the human ear. As you might expect, in-ear headphones (also sometimes referred to as earbuds) are much smaller than the other two headphone types and physically fit into the ear canal, creating a seal which not only blocks unwanted outside noise, but creates a fuller sound for the listener. Over-ear headphones (sometimes referred to as circumaural) are effectively the opposite of in-ear headphones, as they feature a large “earcup” which encompasses the entire ear, blocking outside noise, and channeling sound information into the ear. Lastly, on-ear headphones (occasionally called supra-aural), are similar to over-ear designs, except smaller, and instead of totally encompassing the ear, their padded speakers physically sit on the ear, sending sound information directly into the ear, while blocking minimal outside noise. The majority of headphones that you will find in stores feature a traditional closed-back design, which means that the entire earcup is made of solid material, which will let no air or sound in or out. To the listener, a closed system makes the instruments being played sound closer together, like you are listening to music in a recording studio. 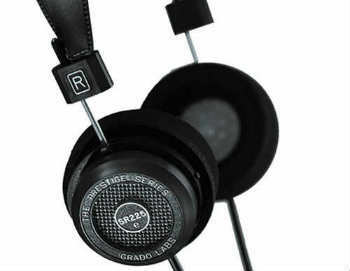 By contrast, components within an open-back headphone are exposed (often the outside of the earcup is made out of a mesh-like grate, allowing sound and air in and out. While, to the uninitiated, this may sound like a bad thing, it actually creates a more “spacious” sound, increasing the soundstage of the music you are listening to, like listening to music at an outdoor concert hall. 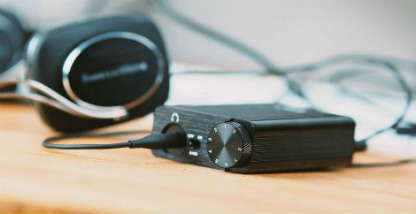 What is a headphone amplifier? What does it do? Headphones require amplification from some form of power source in order to produce sound. Some headphones require more power from that source to be “driven” than others. If you listen to a pair of headphones plugged into a weak source, you may find it difficult to get your music to play at a loud enough volume for your preferences. Often, the amps included popular source devices, like smartphones and laptops, are subpar and insufficient to drive more sensitive headphones. Dedicated headphone amps have higher quality circuitry and a more robust power supply, which will help your music not only sound louder, but will often provide your bass with more punch and your treble and midrange with more refinement. 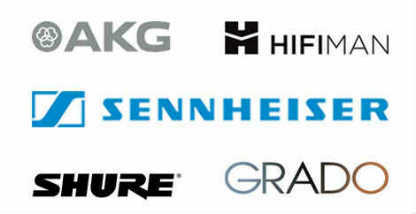 For most people outside of the audiophile community, very little is known about the countless amazing brands and models of headphones being produced today. A majority of people are only familiar with the major players in the marketplace, the companies that can afford to spend millions on marketing (we’re looking at you, Bose and Beats (aka Apple)), and are mostly ignorant to some of the smaller manufacturers. 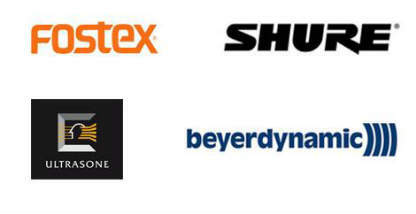 Obviously, creating a complete list of the best headphone brands would be impossible, but we have chosen to include a collection of some of the most respected and well-reviewed headphone brands that perhaps not everyone reading this guide has encountered before. 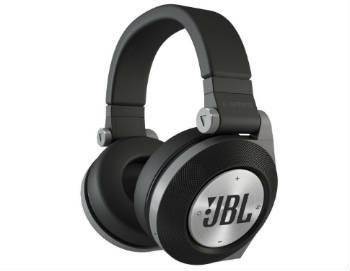 Wireless headphones working with Bluetooth technology are very quickly becoming extremely popular among a younger generation of music listeners. 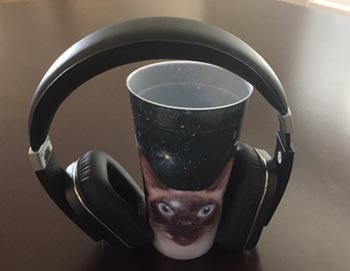 Individuals who are trying to fit music and podcasts into their active lifestyles without feeling tethered or restricted by the presence of cords and wires. Bluetooth is allowing for a newfound level of freedom for headphone wearers. Since Bluetooth headphones do not require wires, they are uniquely positioned to be purchased by people who are interested in listening to music while working out at the gym or going for runs. As many of you may very well know, wired headphones are not only annoying in a gym setting, they can actually be dangerous if they become tangled in the equipment. While Bluetooth headphones offer a number of distinct advantages over wired headphones, they are not perfect. 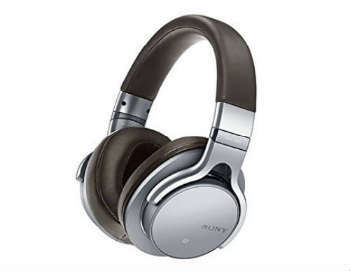 When your music is being transmitted via Bluetooth’s radio waves, there is a slight degradation in sound quality when compared to wired headphones, because a wired connection is stronger and more stable, with less likelihood for artifacts or interference. 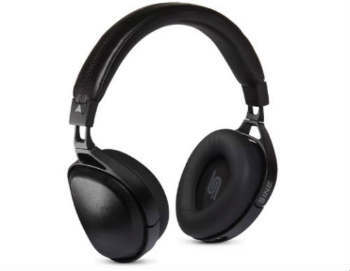 However, most people are not buying Bluetooth headphones for immaculate audio quality, they are simply after the convenience of the wireless world free of cords. Active Noise Cancellation is a bit of technology so cool that it is almost hard to believe that it exists. The ability to figuratively “erase” unwanted ambient noises before they ever get to your ears is so incredible it makes us think of a Star Wars rebel base shooting out lasers to destroy incoming TIE fighters, which is effectively what ANC-enabled headphones are doing. Active Noise Cancellation is really great for anyone who wishes to listen to music in virtually complete silence, even in noisy environments, like airplane cabins, public parks, and construction sites (not sure why you would be hanging around a construction site, but I think we can agree that they are definitely noisey).